Do you love to travel? 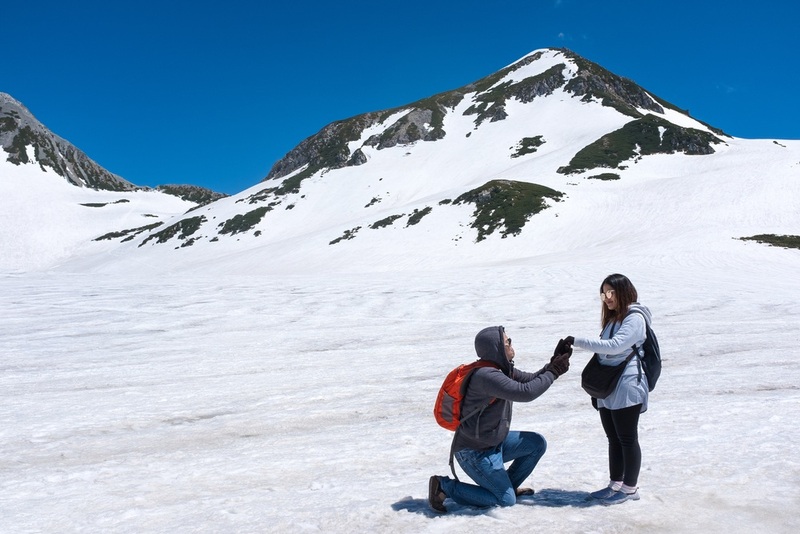 Safety should be your first priority when traveling to places that you’re not familiar with; this is why a discreet diamond engagement ring is the best option for world travelers. 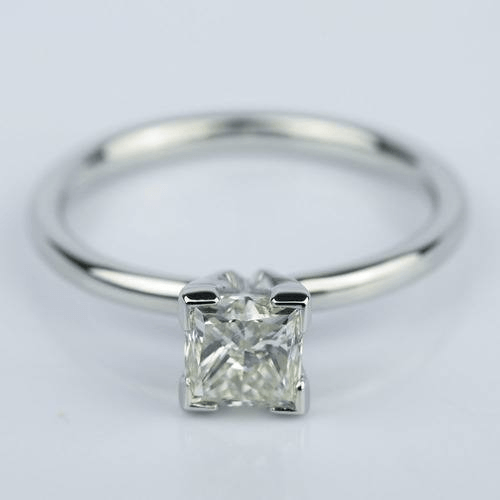 A small diamond ring will not draw much attention, so you can blend in with the locals and soak in your surroundings. Editor’s Pick: This Six-Prong Comfort Fit Engagement Ring with a .40 carat diamond is one of the best engagement rings for people who intend to travel around the globe. The extra prongs (compared to the traditional four) offer great protection, and it’s simple and sophisticated design is appropriate for any destination, from the streets of Paris to the hiking trails of New Zealand. A diamond in a prong setting may become loose or fall out if your days are packed with exercise classes, sports, and outdoor activities. 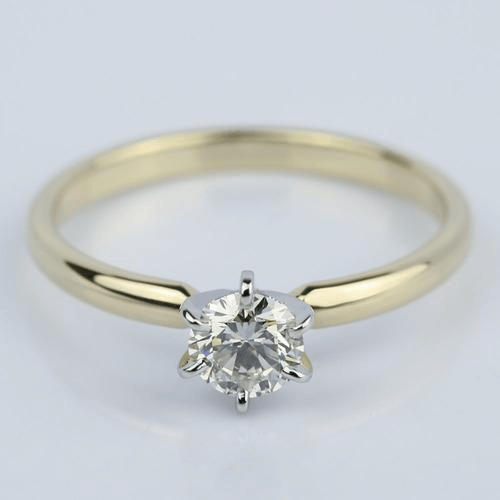 Look for a design that offers a bit more security, such as split shank, bezel, or v-prong setting to protect those delicate edges and corners. People with active lifestyles should also choose a ring with a platinum band, which is more resistant to scratches and dings than gold. Editor’s Pick: The 0.90 Carat Princess Diamond Engagement Ring in Platinum offers a contemporary look and is perfect for the independent women always on the move. Thanks to the platinum band and v-prong setting, this feminine yet modern ring will be able to withstand all of your physical activities! Do you enjoy a lot of activities that require getting your hands dirty? Sculptors, gardeners, and bakers have to constantly wash away dirt and debris from their hands. The dirt and debris may be easy to remove from your hands, but they’re difficult to wash away if they get stuck in the nooks and crannies of your engagement ring. To avoid this problem, do not choose an engagement ring with intricate detailing or engraving on the band. Editor’s Pick: The 2 Carat Cushion Diamond Bezel Solitaire Ring will add a lot of sparkle to your finger so you can admire your beautiful ring while enjoying the hands-on activities that you love. Cushion cuts are a great match for creative types because of their unique vintage look. 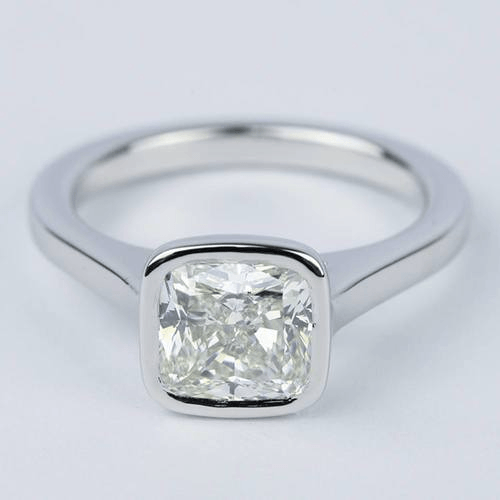 The band on this ring is completely smooth and the diamond is encased in a protective bezel setting, so there’s nowhere for dirt and debris to hide. Whether it’s painting, knitting, writing, or acting, creative artists need a ring that will speak to their creative side, and express their passion and personality just as much as their chosen craft. The best engagement rings for creative artists are those with a simple design and an unexpected twist that makes them unique, such as an unusual metal band, a gemstone accent, or even an uncommon diamond cut. 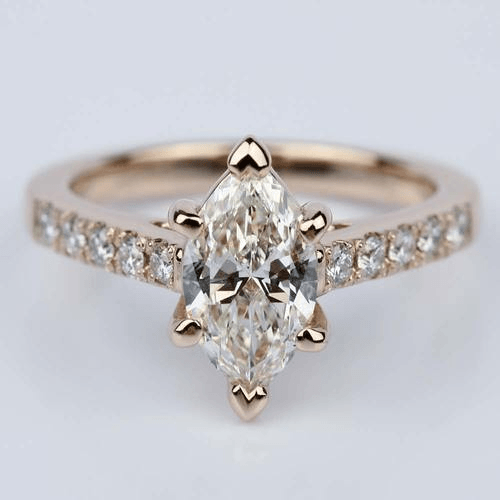 Editor’s Pick: The Trellis Marquise Diamond Engagement Ring combines vintage rose gold with a non-traditional diamond cut (the Marquise). With a line of pave-set diamonds down each band to add depth and extra flair, this is a stunning design that stands out from the crowd. Reference this guide when you go shopping so you remember what to look for in a ring. Remember, it doesn’t matter how beautiful a ring is if it doesn’t fit the life that you lead.